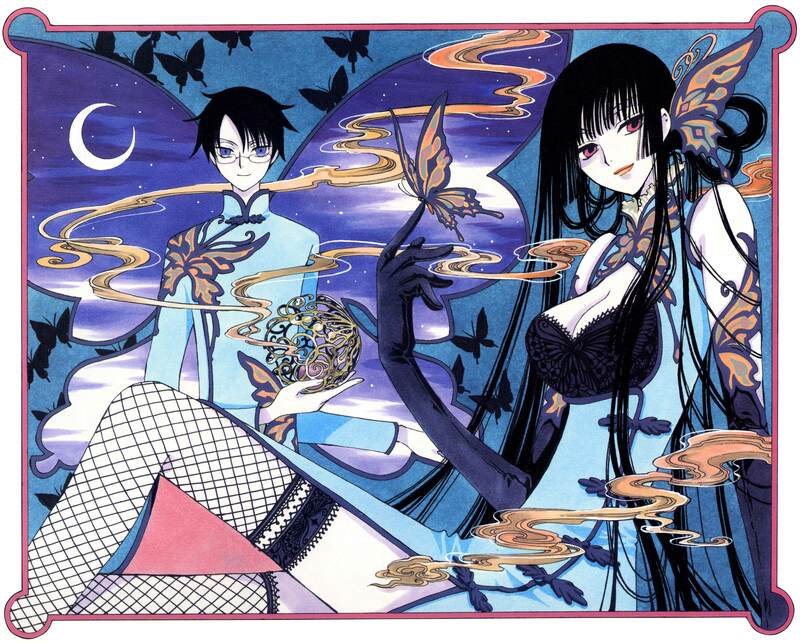 This is the September illustration, which was also the color splash page for the magazine serialization of chapter 1 of AnotherHolic - Landolt Ring Aerosol, the xxxHolic novel by NISIOISIN. This is my favorite from the whole calendar. wonderful!11 what more can i say..... i don't have words to describe my emotion whith this picture..because im a big fan of xxxholic! woooo! beautyful ilove it!>< i like the color i thinks she (Yuuko chan ) even use this olor, that made it special. didn't it? I feel like flying already. I love it its very cool i like how she were's all these beautiful clothes. Cool scan. I've seen the image before, but this is a better version. Love this image. I like all the blues and the moon. this is one cool scan. ^^ i love yuuko-san's dress. Thanks for uploading this. Very helpful. I love this image and have been looking for something like this. Woah~~ i really like this one! Probably the blue colour used and chinese style? XD One of the best among the others month..Thanks! So beautiful! Yuuko looks awesome in this! I love how, for once, Yuuko's face seems soft in nature. It's a nice look on her. Thanks for sharing! Really pretty blues. Two wonderful characters. have found several wallpaper made based on this scan, it's a wonderful scan!